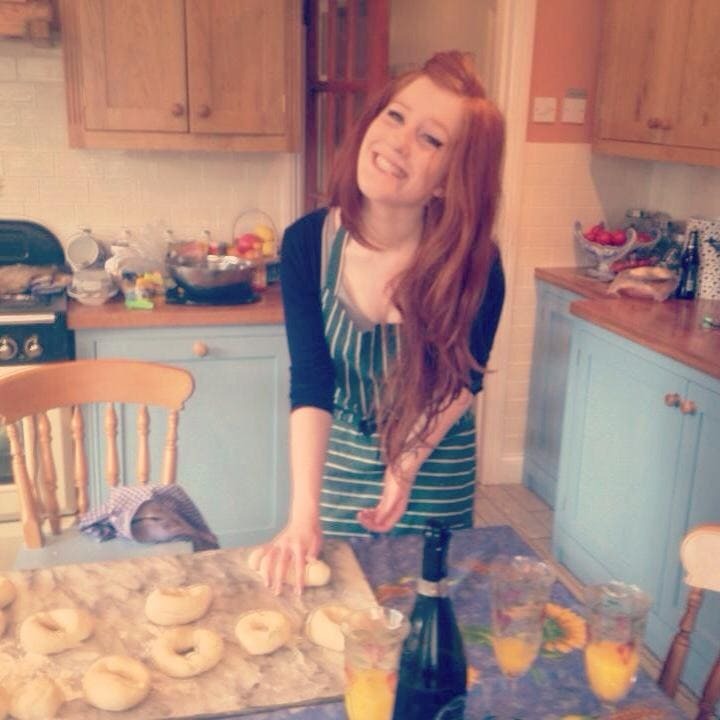 I’m Jane, and I am attempting to make a career and life for myself through baking and cooking. I adore baking and cooking, probably too much, but I haven’t been able to find anything else in life that takes my fancy more. Now that I am 25 and have graduated from Ashburton Chefs Academy in June 2014 as a trained chef, I am attempting to explore the world of all things food, and share it all with as many people as possible. One of the biggest secrets about me? I actually prefer savoury food. However, I love to experiment with all things sweet. Hopefully in the future I will branch out into Savoury Food, more Gluten-Free & Vegan recipes, and even vlogging on my Youtube channel! I love to research in to recipes daily, and experiment, so I hope you like the results! I try recipes from Celebrity Chef’s, other Food Bloggers, and just recipes I come across whether in a magazine, or on the internet! Some experimentations don’t work quite so well, but others work truly brilliantly and have amazing feedback from my Trusty Taste Testers. I love that when you find the basics of a recipe, such as a No-Bake Vanilla Cheesecake, you can experiment to the ends of the Earth with different flavours and ideas. Baking and Cooking is all about Science and Chemistry at the end of the day, and I love it. If you ever have any questions about my recipes, or a recipe request for example, feel free to comment below or email me at janespatisserie@gmail.com. You can find my recipes on my Recipes Page above, or feel free to search a recipe on my blog and see if I have it, or an alternative will show up for you! Hey! Your cakes are so perfectly leavel! do you use any particular level or reccomed one? My cakes never match up when stacked? Terry’s Chocolate Orange Brownies……..wow! Easy to understand and follow. Jogging may have to increase now as I anticipate a calorie increase in our household. I love all your recipies so much! The biscoff rocky road was a big hit and everyone loved them! I love being creative with baking so it’s anazing to find someone with such creative recipies that I can follow! Keep doing what your doing! Your AMAZING!!!! Just came across your blog as I was searching for a crunchie dessert. It was so easy to follow and turned out so so well that ur blog is now my “go to” when hunting for a new idea. I’m determined to try your cinnamon doughnut recipe this weekend!! Far to many recipe bloggers out there whose recipes don’t seem to actually work but urs certainly does! I am so looking forward to trying this cheesecake sometime in the near future! I just love cheesecake but mom doesn’t !! Hmmm might have to rethink this!!! Sure I will try this though!!!!!!!!!!!!!!!!!!!!!!!!!!! I have recently come across your Instagram through someone else I follow. Amazing stuff!!! I just made your candy cane brownies and they’re fabulous! Thank you and I hope to try many more things. Love the website, is so pretty and all things yummy! OMG!! Just found your site and just made the Biscoff fudge!! Amazing!! Hard work basically! A lot of hard work. I have used your reciepes a number of times and have enjoyed the results. Have you ever tried making a christmas pudding cheesecake? They’re ebooks so are downloads. Amazing website and recipes are fab! I was just wondering what piping kit you use- is it easy for a beginner to piping and any tips? I just recently came across your page and youtube channel and feeling so so inspired as I LOVE to bake and hoping to make a career out of it. I am too a sucker of no bake cheesecakes so when I found your page it was like a dream! I can’t wait to try your cheesecake recipes, however I must ask- how long do they normally sit out for? I find that when I make my no bake cheesecakes they can’t sit out for too long and they would melt over time so it makes it abit difficult for me to be at peace (worried they will eventually melt) especially for when i serve them at an event (as it would be sitting out for quite awhile) and for times when I sell them and get them delivered to somewhere quite far. I love making cheesecakes for family & friends and you inspire me with all your recipes (the Malteser one was a big hit!). I currently make everything by hand and am looking to invest in a stand mixer. Would you mind letting me know the mixer you use please? That’s great, thanks for letting me know. I’ll take a look and see how much they are. Sounds like a worthwhile investment though if you’ve had daily use over 5 years?! As a newbie to baking, this blog has been my absolute bible! love it sooooooooooooo much hope you know who i am! hey jane! 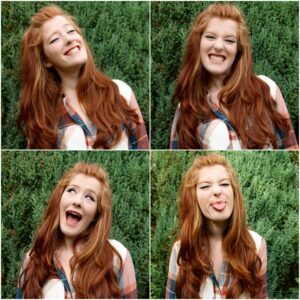 you’re blog is so lovely! i had a question abut your logo (the cartoony version of yourself) its pretty spot on and looks great and im looking for something similar for my up and coming blog, would you mind sharing the info of where to find it or how to create something like this?? also, feel free to check out my blog, i would love any pointers ! I got it from a lovely lady called Morgane Carlier who you can check out on Facebook! As a fourteen-year-old girl taking GCSE food, i was very happy to find this blog. Awh thank you! Unfortunately I can’t as I’m a trained professional chef so I’m not allowed! Classic full fat recipes. That’s all I needed to read to know this is a great blog. Hehehe thanks! Don’t get me wrong, I don’t have a problem with others posting about lower-fat etc, but I love posting about Full-Fat and delightful recipes hehe! hi Jane I love all your desserts my favourite is the honeycomb and fudge traybakes I love puppies to my dog is called Lola . thanks for all the yum treats!!!!!!!!!!!! Hahah that’s okay! Thank you! Hehehe thank you so much!! 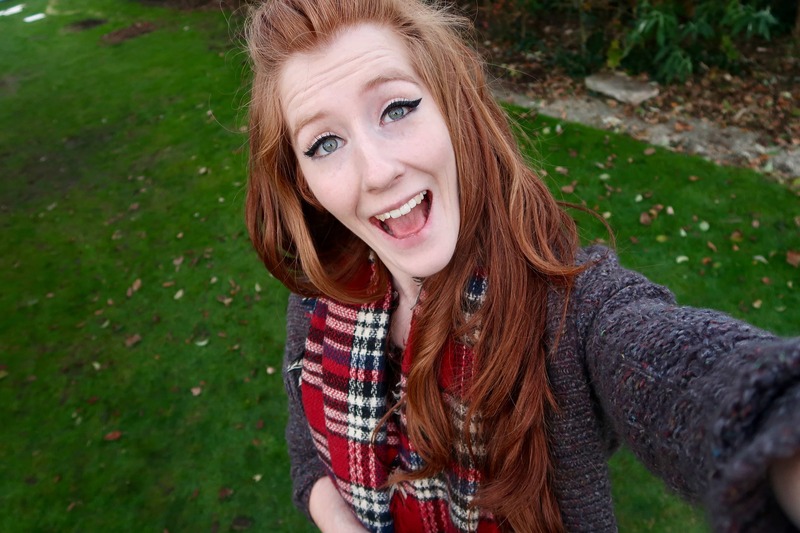 How have I only just found your blog!?!? I love the look of all your recipes and have decided I’m going to make them all! Bang goes the diet! Keep it up. Going to share blog on Facebook, if I can work out how! Oh and by the way definitely write books, I’d buy them!! You have a really cute blog, and I love all your recipes! I hope you do realise your dream. I think you will, no problem! Love, love, love your instagram page and your blog! Such beautiful bakes!!! I dream to be as consistent as you!!!!!!!!! Aww thank you Lynne! 🙂 You too! Hi Jane! I love your blog so much, I’ve nominated it for the Sunshine Bloggers Award! Should you choose to accept this nom, just check out the rules and grab the award badge at my blog: http://birdhousediaries.com/2015/09/28/ive-been-nominated/. Thanks again for a great blog; you’re an inspiration to me! Hi! I let you know I nominated you for the Versatile Blogger Award. Good luck and thanks for sharing your contents! Jane, you’re an inspiration. I love your blog and your delicious recipes! Good luck with everything, and I look forward to your new creations! Thank you so much! That is such a lovely thing for you to day, thank you!!! I live in New Zealand so your amazing yummy recipes are reaching far away. Hope you have many followers from all over the world. Ohh whereabouts in the south west?? I went to Ashburton Cookery School in Ashburton Devon to train, but live in Hampshire so riiiight in the middle of the south coast haha’ and this is so cool! ? Ohh I went in to Exeter like every weekend! ? that’s so nice! And yes it’s all insanely amazing from the day courses to the professional diploma which I did – amazing! And awwwh haha thanks! I love your blog though, everything you post makes me so hungry!! It’s a lovely city, so happy I got to go there for uni! ? ahh brilliant, I’ll keep them in mine then possibly for the future – thank you! I could say the exact same thing about yours, I’ve actually just made an orange ice cream inspired by your no-churn recipes 🙂 thank you! hey. Lovely blog. Yummy looking food. Will definitely try them and let u know how they turn out. 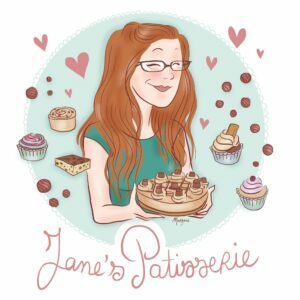 What a beautiful blog you have Jane, and so many yummy recipes. I’ll be sure to try a few as I enjoy following your journey. Hello! I’ve nominated you for The Sisterhood of the World Bloggers’ Award. It tells you all about it in my post 🙂 Hope you’ll accept! Just had a look through some of your recent blog posts and I genuinely mean it when I say that I want to eat all of them and that very rarely happens even on a great food blog! Keep it up, I look forward to reading your future posts and getting recipe inspiration from you! Good luck with the bakery/ tea room dream! Awwwh thank you that’s the sweetest message ❤️ thank you so much! Its okay!! And thank you! Hi Jane! Thanks for liking my new post on IndianSpaghetti! Your blog looks amazing and I’m definitely going to try millionaire shortbread! Ohh it’s okay! It was a lovely post! And Awwh haha thank you, I hope you like the recipe! I have nominated you for the Infinity dreams award. I am SO in love with your cute animated pic! It is perfect! Did you do that?! I will! I have been wanted an animated pic but I haven’t found any artist that I like…and then I saw yours! AH! Love it! P.S. Your baking recipes are incredible! I was the same, she did an incredible job! And thank you!! Thanks for the like on my Cake Mix Cookies Jane! Your blog is adorable! Its okay, they looked delicious!! and thank you! Thank you! I hope your dreams come true too! Thanks for visiting my blog Jane. So many lovely recipes on your blog. It’s so lovely to hear your hopes and ambition. Keep going – I’m sure you’ll achieve your dream. You have a mouth watering blog! I’m looking forward to seeing future posts on my reader! I nominated you for the One Lovely Blog Award. You can stop by my blog for the details. Hi Jane! I have nominated you for the Very Inspiring Blogger Award. You can check it out here https://morethanadashofsalt.wordpress.com/2015/04/06/nominated-for-a-very-inspiring-blogger-award/ ! Thanks for inspiring me :). Hi Jane, I love the combination of flavours you use in your recipes, I look forward to trying some out some time. Thanks for dropping by my blog. Thank you so much, thats so kind! If you do try them, let me know how they go 🙂 and its okay, i loved your post! Hey Jane! Thanks for checking out our blog. Looking forward to reading yours! I guess Ashburton has changed a lot from when I used to visit when I was growing up in Christchurch, back then it was a pretty boring one horse town. I love baking too, it was my first love really, and it’s so hard to choose from all your lovely recipes, but the White Chocolate and Cranberry biscuits sound fab! Two of my favourite ingredients (and my daughter Bunny’s too!) Off the make some right now! Its okay, your post looked really tasty and interesting!! I adore Ashburton, the town is still cute, quirky and tiny but the cookery school is probably the heart of it, absolutely amazing! And thank you so much that’s so sweet! I hope you like the cookies!! Let me know how it goes!! We made ’em and we ate ’em – too quick!! Thanks for both likes so far, I’m super new to this blogging thing and don’t really know what I’m doing. I’m literally amazed when anyone likes my stuff eek! Any blog with chocolate truffles goes straight in my good books for sure! You’ve got such a great blog here with posts that I can’t stop drooling over. Thanks for stopping by my blog, hope you enjoyed my post on cinnamon rolls! Awwh thank you so much Alicia!! I loved your post haha 🙂 I’ve never made cinnamon rolls but I really want to now!! Reading your about section was like reading a description of myself. I’m the same age with an insane love of pastry who would rather test recipes in my kitchen than do most other things. Love your blog! Can’t wait to see more! I’m so glad there are people out there like me!! Haha 🙂 it’s amazing isn’t it, and so much fun! And thank you!!! I’ve just popped by to thank you for visiting my blog and liking a couple of my posts. I really like your blog, the photos just look so professional. I’m not surprised that you have proper training given how utterly amazing all of your recipes look! Hi Jane, great blog and like you I’m passionate about baking so I’m looking forward reading your posts =) Have a great day! To be young, ambitious, with your whole life ahead of you…it truly sounds like you have a great plan. Doing something that you love is not always possible, but you seem to have made it come true for you. Congrats. Have only read a few of your posts, but enjoyed them. Definitely going to have to try some of your bread recipes. Thank you so much! In my eyes I took a while in working out what I wanted to do with my life but now I’m so happy! And I hope you like them if you do try some!! I’ve just discovered your lovely blog – looking forward to keeping up with your new posts and browsing through the older ones! Jane, you are awesome! I love that your passion is baking and you want to do that for the rest of your life! I love baking too and I love FOOD haha. I am so excited to start following your blog. Thank you so much!! That has made my day haha 🙂 I will somehow work out how to do for the rest of my life, at the moment blogging is what I have haha and thank you! I love your blog too! Thank you for visiting my blog. I’m looking forward to reading more of your blog. Your recipes look delicious! It’s okay, I loved your post!! And thank you! Wonderful blog! Love the photographs. Thanks for following, Jane! I’m forwarding your gluten free brownie recipe to a friend and think I’ll give it a try myself as well. You have some yummy recipes posted! I’ll be checking back in. Its okay!! And aww I’m so glad you have, Its definitely the favourite recipe of mine and I hope you both like it!! And thank you! Hi Jane, I nominated you for the One Lovely Blog Award because I love what you are writing about! Keep it up! Thank you so much! And it’s okay, I love your blog too! Love your blog. Thanks for the follow. And oh, join us at Fiesta Friday, will you? 😀 It’s a fun virtual party – I am sure you will enjoy. Hello, Jane! Thanks so much for the follow! Your blog is lovely! I might just have to try some of your recipes! Its okay, I loved your blog too so thought it was worth a follow! And thank you! Tag me or message me if you do ever so I can see ? It’s okay, I like your blog so! And thanks!